Ontario knives are noted for being rugged, simple, and dependable. The Bushcraft Machete is a jungle-driven design that builds on that legacy. 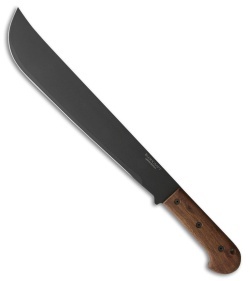 It has a 16" black powder finished 5160 steel blade and tapered walnut wood scales. The Bushcraft Machete comes with a rugged nylon sheath.